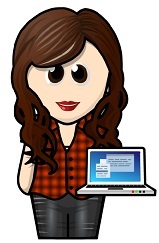 Today I have a guest on my blog. Kayte Nunn is the author of contemporary fiction, and her latest novel also delves into an intriguing historical adventure. THE BOTANIST'S DAUGHTER is a wonderful mystery story about family, secrets, promises and love. 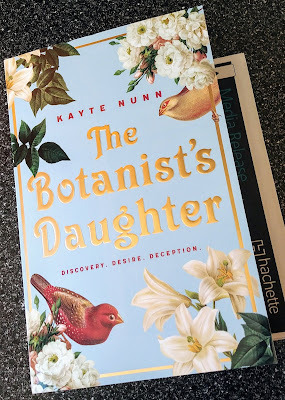 The concept for The Botanist's Daughter sounds intriguing, how did the idea develop into a book? I was walking with my young daughter in the Sydney Botanic Gardens one hot, sultry January afternoon and we came upon the herb garden, where there is a beautiful bronze sundial with carvings of herbs all around it. I put my hand on the warm metal and immediately, as if a bolt of lightning went through me, I had a vision of a young woman in a walled English garden where a similar sundial stood. I walked around the rest of the day in a daze, wondering what this might mean. Over the following months I began to piece her story together. What made you decide to tell the story in two different POVs during different centuries? There were a couple of reasons: firstly I love stories that interweave, with their connection only fully known at the end, a mystery from the past is finally solved in the present. I also love the way tangible objects can really bring history alive. The thought that someone several hundred years ago would have created and used an object that still exists in the present day brings the past to life for me in a way that reading about battles or treaties doesn’t. I also liked the idea of having two strong female protagonists who would almost have been better suited to each other’s time – one is headstrong and flouts convention, and the other is quieter and more introverted. The book became about courage, and I wanted to depict an obvious, bold act such as a perilous sea voyage to an unknown country, with smaller, but no less valid, actions. Who came first: Elizabeth or Anna? Elizabeth – she was the young woman I pictured in the garden, but Anna followed closely behind. However, I chose to write each narrative separately, as I wanted each to be a fully realised story capable of standing on its own. I love the cover. It's so pretty! Do you feel it represents the story well? Thank you – I love it too! Yes, I think it tells the reader that it is about a particular flower, and the typeface indicates an earlier era, but the overall effect is still fresh and modern. It looks to me like the kind of book you would love to receive (or give) as a gift. What's next for your readers? I am deep in the copyedits for a novel set in the 1950s and the present day, an impossible love story about a forgotten cache of unsent love letters found on a remote British island. Thank you so much for answering all of my questions. I look forward to reading more of your books. I hope you enjoyed reading the Q&A as much as I did.